Arduino SHIELD HEADER extra long (11 mm leads), 3 Sets * 4 header Long-legs header for Arduino shields, sensor boards or prototyping boards. The set includes: 3x header 6 pin, 3x header 10 pin, 6x header 8 pin. 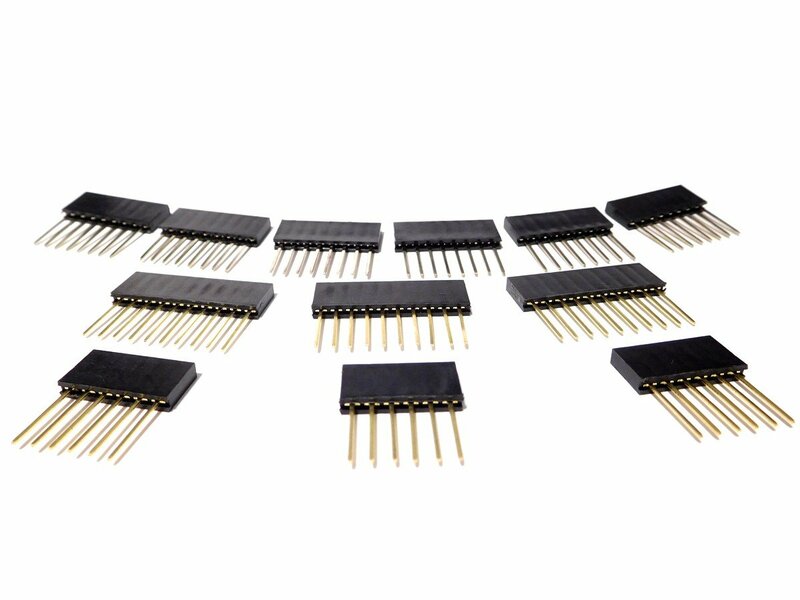 This is the amount of headers you need to build 3 stackable Arduino Shields.